July 1, 2014 3840 × 2160 Hassled by police for shooting in the street. Prevent from shooting by the Police in Windsor. Althought not physical stopped, by standing in front of the camera this police office made it hard for me to shoot. 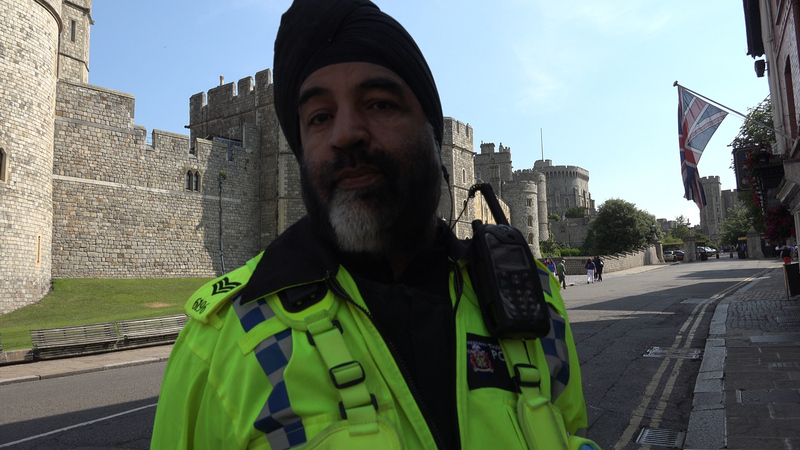 By the looks of this copper, he’s Thames Valley police, not the Metropolitain Police who protect the castle. The Met normally have more experienced and balance officers as part of the RPG working there who would not (I expect trouble themselves with this trivia). This one’s likely a TV jobs worth with nothing better to do. I’m surprised that he has the rank of sergeant and knows so little.